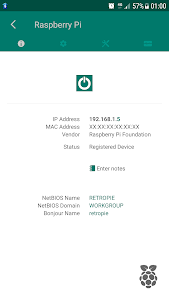 - Network analyzer: displays most important information for each device connected, IP Address, MAC Address, Vendor, Bonjour Name, NetBIOS Name and Domain. 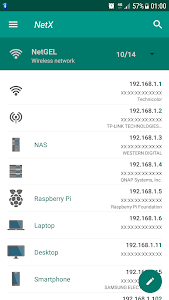 - Shows information about the wifi connection (external IP, signal strength, download and upload speed, subnet mask, gateway, DNS). 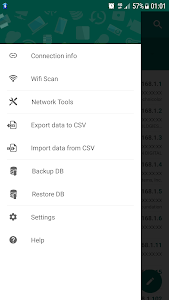 - Wifi scanner: find nearby wifi. 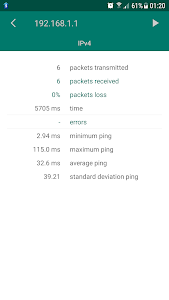 - WIfi analyzer: displays SSID, signal strength, channel, encryption. - Network monitor. 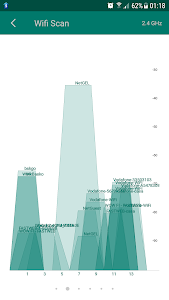 Monitoring and diagnostics remote devices: shows CPU usage, RAM usage and displays the available memory inside the disks. - Network security. 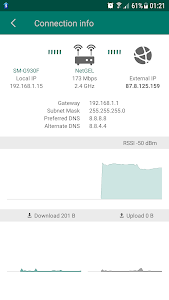 Monitoring access to network wifi. 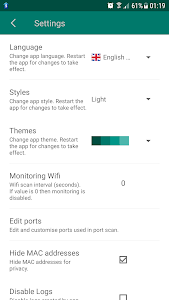 Receive notification when a new device or an unknown device connects to the network. - Ping tools. It's possible to ping every device connected and any hostname or IP Address. 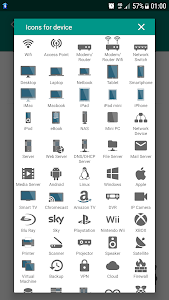 - Port scanner to scan the most common port used. - Available languages: Czech, German, Greek, English, Spanish, French, Italian, Polish, Portuguese, Russian and Chinese. 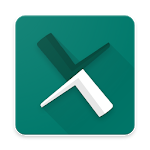 Search the "Next - Network Discovery Tools" community on Google+ in order to share ideas and opinions and to be informed about new release. Similar to "NetX Network Tools"